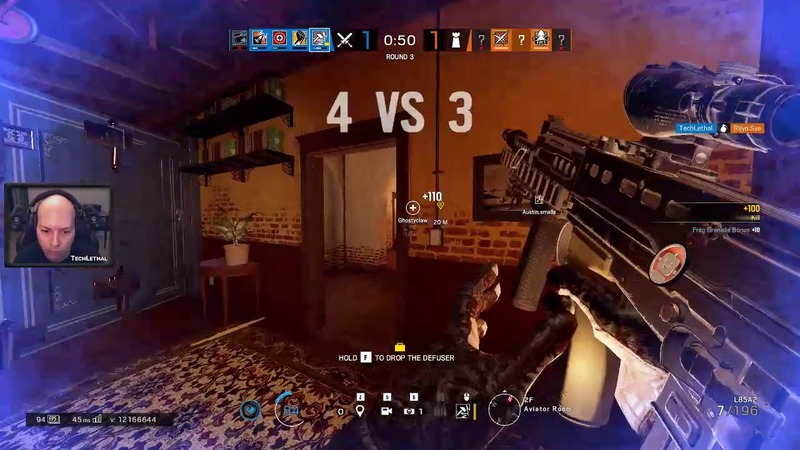 Tom Clancy’s Rainbow Six Siege is a tactical shooter that puts heavy emphasis on environmental destruction and cooperation between players. 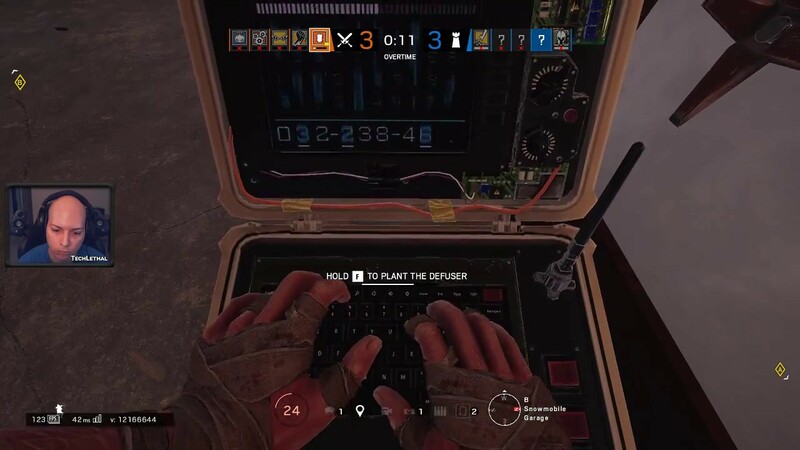 Each player assumes control of an attacker or a defender in different gameplay modes such as rescuing a hostage and defusing a bomb. After failing to open garage and losing 3 teammates, I have to retake the basement from the 2nd floor. 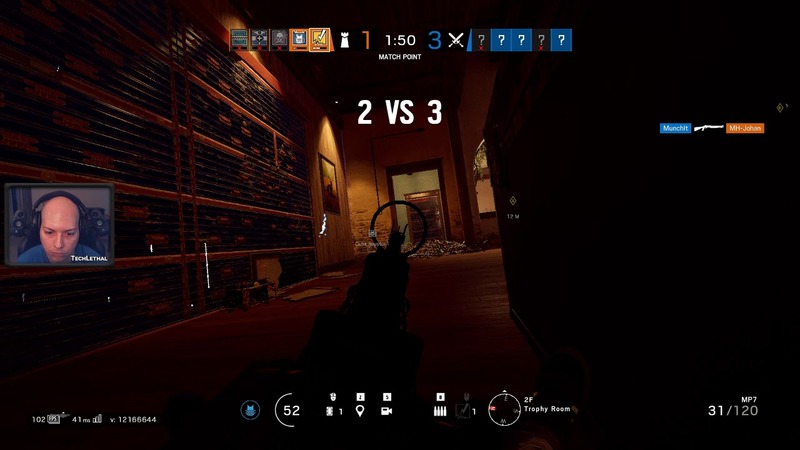 I recover the defuser with my last teammate, but he dies soon after. Leaving me in a 1v3 against Lesion, Mira and Jager. Got the Ace defending Villa’s 2nd floor trophy/statuary rooms with Bandit. Round starts with a fast push from Ash and Buck on opposite sides of the bomb sites. Teammates get wiped out leaving me against Zofia, Blitz and Hibana.